In this issue of the Salesforce Alert newsletter, my colleague, Tim Weizer, presents some key questions that need to be answered in reviewing a salesforce incentive plan. The Sales compensation review and planning season is upon us. The focus on sales compensation is understandable as selling is, by far, the most expensive part of strategy implementation for most companies. Five times the expenditures on all media advertising; 20 times larger than the money spent on all online marketing and advertising in 2013. Here are some questions to ask. Focusing on these areas can help determine whether you have areas of concern. #1. IS THE BIG PICTURE CORRECT? 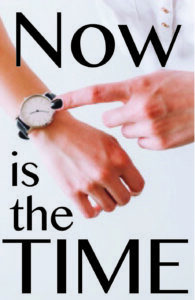 In today’s fast paced world, quality often is not given enough emphasis over a quick answer. A holistic approach is needed to ensure that proper time and thought are given to plan design and any potential unintended consequences. As one CEO remarked that the company took its time to ensure “…we didn’t have sales compensation becoming disconnected from the overall financial result of the business.” The CEO wanted to ensure that the company was paying for the right strategic results. The basic premise is that a sales compensation plan does not exist in a vacuum. It needs to be closely aligned with the company’s business and marketing strategies and goals. 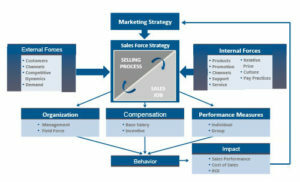 Also, the plan must address both internal and external forces impacting the sales job and selling process. #2. ARE THE PLANS PROPERLY CALIBRATED TO THE VARIOUS SALES ROLES? Setting the same percentage of base salary as the incentive for target performance for all sales positions is often evidenced in plans. This may be a serious mistake. #3. DOES THE CFO HAVE CONCERNS? When the design allows too many sales reps to max out on incentive earnings, the CFO may be anxious about the inherent risk in the plan’s design or to “pushing” fourth quarter sales into the first quarter of next year. While 60 percent of the salesforce should achieve quota or above, a recent survey stated that only 4 percent, on average, maxed out. If your result is significantly higher, then multiple analyses should be conducted to determine the reasons (e.g., Quota and territory design analyses). #4. IS THE PLAN UNBALANCED WITH TOO MANY MEASURES? While communicating management’s goals to the field, too many measures or objectives result in the measures receiving little or no attention. Four should be the maximum number of incentive measures. This statement is backed up by a Hay Group survey of 700 companies that reported 85 percent of respondents had 4 or fewer incentive measures. Also, any single incentive measure or objective accounting for less than 15 percent of the targeted incentive opportunity is simply wasted. A good idea would be to review the actual percentage of your salesforce that achieved 100 percent or more of quota per measure. #5. ARE THE PLANS TOO RISKY? To quickly increase sales, a company may decide to provide a higher leverage of incentive to total cash or an uncapped incentive opportunity versus the past design. This action may produce significant risks in terms of cost control, uneven production scheduling, or even upset key customers due to delivery issues. #6. WILL ASC 606 IMPACT THE PLANS? New Revenue Recognition Standard requirements go into effect on December 15, 2017 for public companies and the end of 2018 for private companies. Companies in industries such as Aerospace and Defense, Automotive, and Engineering and Construction are likely to be impacted given their use of long-term contracts. Take a moment now to ask your CFO if ASC 606 impacts your sales compensation plans. If so, find out what data the CFO needs from you to address this topic. Also, investigate if the timing of incentive payments may need to be adjusted. To learn more or discuss your sales compensation concerns, please contact Tim Weizer at tim@salescne.com or Neil Lappley at nlappley@lappley.com.